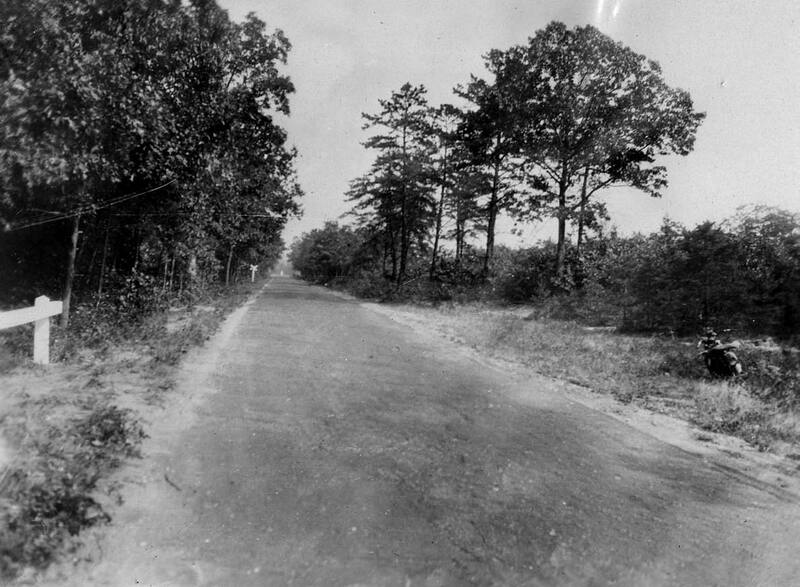 The length of the Motor Parkway from Fresh Meadows, Queens to Lake Ronkonkoma, Suffolk County totaled 44.0 miles by 1926. 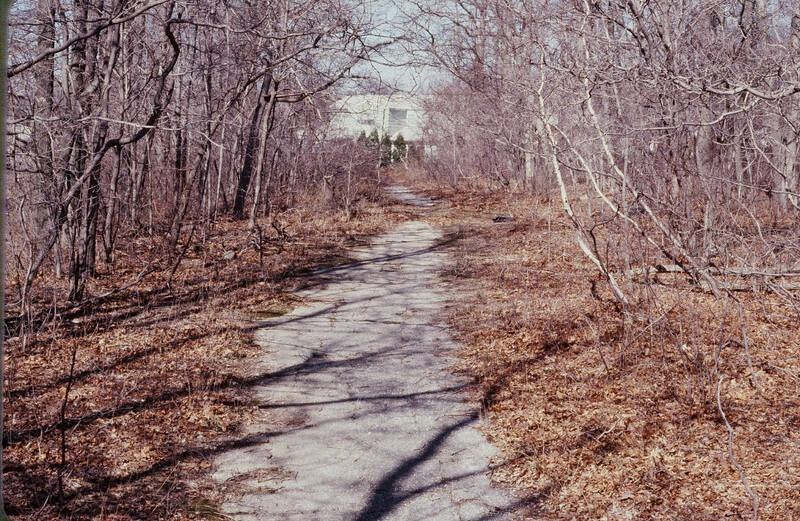 Seventeen miles of the 44-mile Long Island Motor Parkway were located in Suffolk County. 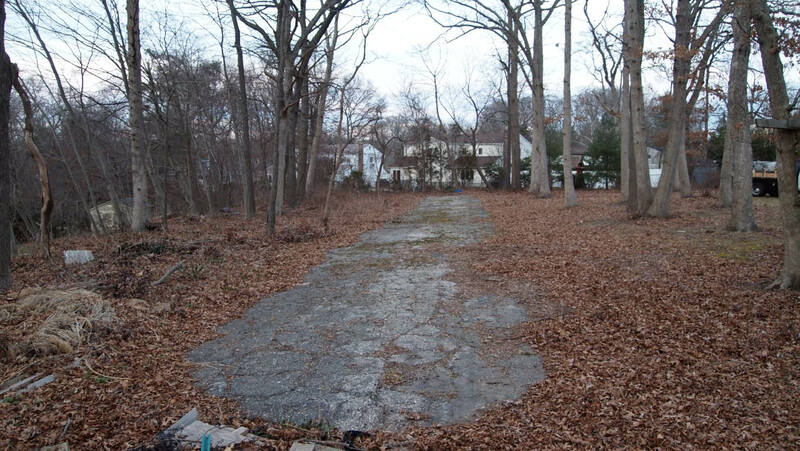 Since the easterly 13 miles of the Long Island Motor Parkway were later incorporated into the road system as County Road 67, there is only a small area (from Melville to Dix Hills) to discover remnants of the original road. 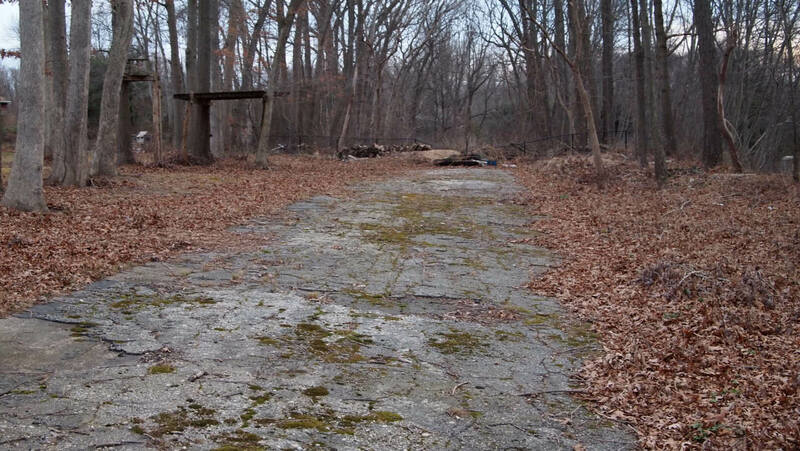 In his walking tour of the Long Island Motor Parkway in 1981, Ron Ridolph found a section of the road in the back of a vacant property in western Suffolk County. With permission of the current property owner, this is the same view today looking east. A total of 225 feet of the Motor Parkway has been cleared. 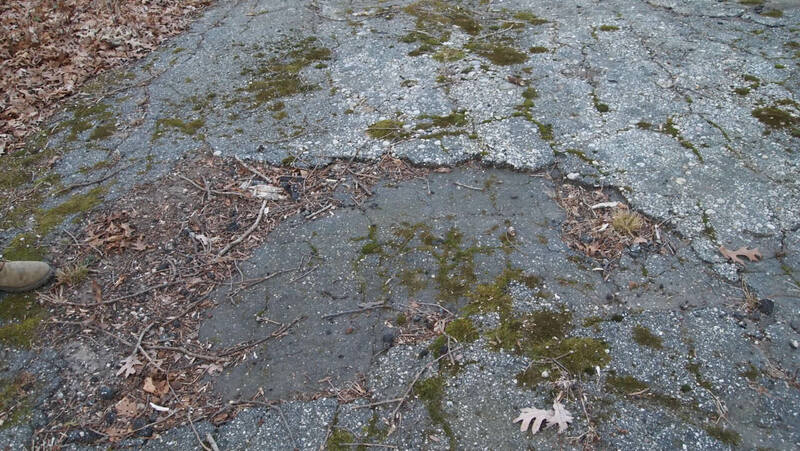 Two layers of asphalt are still visible. 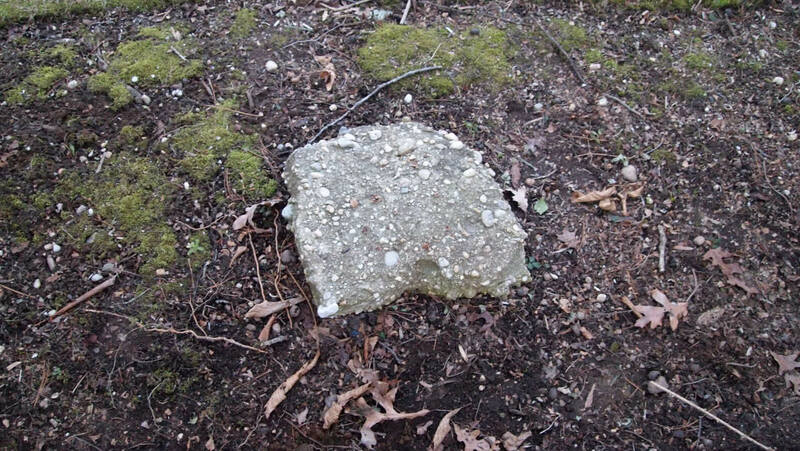 A concrete remnant. There were no concrete posts to be found. 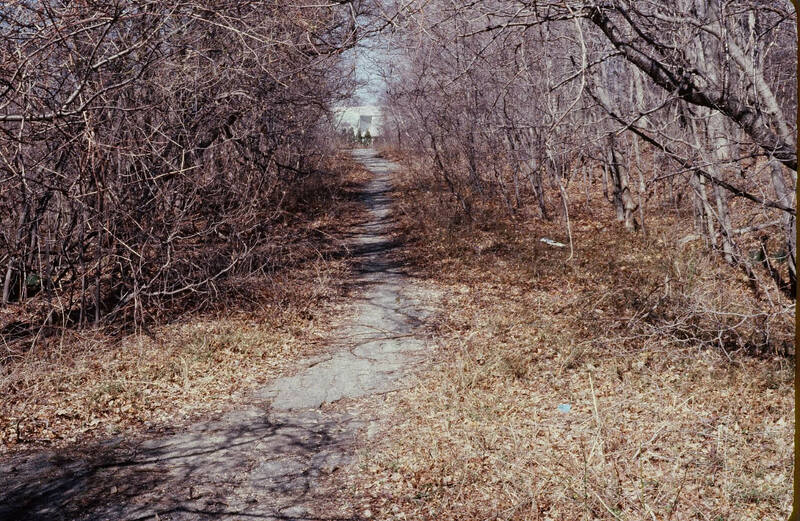 Futher west in an adjoining property, the Motor Parkway is completely buried by Motor Nature. Like finding the remnants of an ancient Roman road. There is a taste of mystery as well as legend. A shame there is now so little left to explore. I am curious. You posted two differing amounts for the length of the VMP—44.0 and 45.0 miles. And I have seen differing lengths often referred to. Also—who cleared the 225 feet. Good catch! Official Motor Parkway documents list the length as 44.0 miles, not counting the 2.1 mile extension connecting the Motor Parkway to Jericho Turnpike in Commack (now Harned Road). 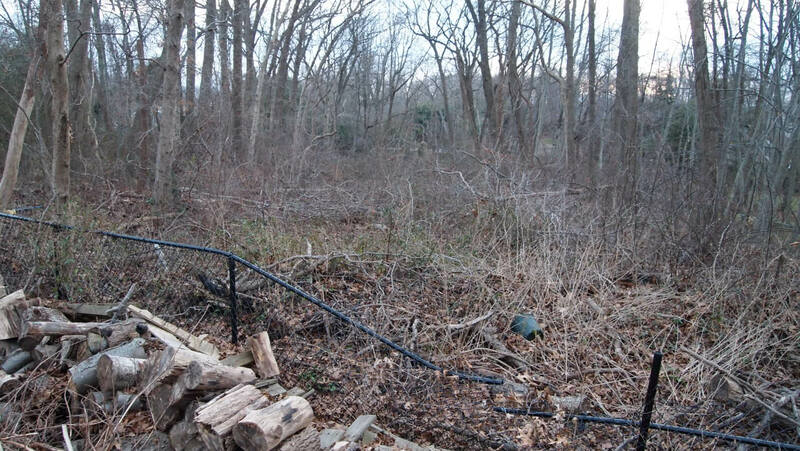 The Motor Parkway in this area was cleared by the current property owner who realized its historic significance. Hi Howard is this area due east of 5 towns college near Fox Lane in Dix Hills. Thanks for the pictures. The property owner, at the current time, does not wish to publicize the location which is not visible from a public area. All, I am very happy to see that there are people out there who care to preserve the historical and physical remains of the parkway. As a child in the 1970’s I would walk down the ancient road every day to school which you all know of as the spur east of Five Towns College. My friends and I treated that area as an extension of our own back yards. I am aware of two potential dig sites in the surrounding area which I have personally yielded artifacts of the era and I am pretty sure were not destroyed from the last and final development. I would like to help with the cause and share in the excitment in recovering the past. I always enjoy reading the blog and seeing what the group has been doing. As a youngster in the early fifties our boy scout troop would hike on the parkway in Bethpage, going east from Hicksville Road. Little did I know that my wife and I would eventually buy a house(which we still live in) near the current Motor Parkway in Dix Hills. Keep up the good work!